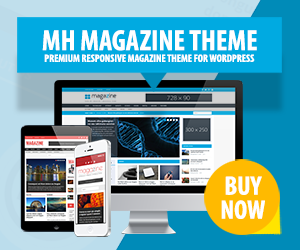 One-page WordPress themes can be used in many different ways and for various purposes. One-page WordPress templates work perfectly for resume websites to showcase personal and professional information as well as work experience for those searching for a new job or chasing the next career step. For creative freelancers like photographers, web and graphic designers or other creatives, one-page WordPress themes are ideal to show some information about current projects, work samples or services. Further, one-page WordPress templates are highly suitable for professional landing pages, especially in terms of SEO. Business websites do not always need to have a complex structure to be successful. One-page WordPress themes are especially suitable for business websites to briefly inform about your business or for landing pages that are optimized for conversion. A simple online presence to showcase your services is of great value when you’ve added informative content. One-page WordPress themes sometimes include nice parallax effects, unique designs or they are just simple and plain – no matter what kind of one-page template you are looking for, there are plenty of WordPress themes for your needs and requirements. When searching for one-page WordPress themes for your website, no matter of business online presence, private resume, creative website or else, be sure you have all features included that you might need. Flexible color options, fully responsive layout and different layout possibilities, different fonts, included image galleries or prominent sliders and custom widgets to showcase the content on your website. If some features are not included in your favorite one-page WordPress theme, you could check compatibility with popular plugins that are suitable for your purpose.